How much does it REALLY cost to develop an app like Pokemon Go? Home » Mobile App Development » How much does it cost to develop an app like Pokemon Go? It seems as if we are unable to talk about anything else. Pokemon Go has come into our lives like a hurricane, both for the fans and the cynics. It has needed less than two weeks to be the center of the conversation, the news on television, and the main topic on blogs of any kind. Many users are those who have let nostalgia take over. But some have seen an undiscovered market in this trend and have published Yeeply projects to develop an app similar to Pokémon Go. But how much does it cost to make an app like this? However, projects like Pokemon Go require high budgets. And something to bear in mind before creating an app is definitely knowing how much it can cost. If you need a quote for an Augmented Reality app its important to note that there are very few teams specialized in this technology, so you must be careful who you hire for your project. One of the things Pokémon Go has captivated its audience with is its masterful use of Augmented Reality (AR) and geolocation (GPS). The original game was based on the premise that you are a Pokémon trainer who has to travel the world to hunt your Pokémon. Pokémon Go brings the idea of the original game to reality; you have to move and ‘travel’ to find your virtual pokémon. Using Augmented Reality Pokemon Go has managed to bring this world to life by turning all true fans into Pokemon trainers. But the special thing about Pokemon Go is that it is the first mobile Augmented Reality application that has had downloads of this scale. It’s the first time that users have gone this ‘crazy’ due to an AR application, and this sets a precedent. Now that users are more familiar with this technology, it will be easier to start apps based on the AR model. But make no mistake, Pokémon Go is not a revolutionary concept. In fact, there were similar predecessor apps that followed this model. Juanma Zarza, expert partner of Carbonbyte in RA and 3D study tells us that it is not the first app or game like this. “Layar, for example, is an app that adds a layer of information to the city, it has been with us for a while and nothing seems to have gone wrong. As for games, there is Invizimals, which is basically Pokémon by Sony also using AR, although based on trading cards, ” Zarza said. We even stumbled upon an example of an app that could be called the original Pokemon Go. Pokemon GO is a development of Niantic (Google) and their previous work, Ingress, is the technological basis of Pokemon GO. “Ingress has had some success, but Pokémon has been amazing,” adds the designer of Carbonbyte. When we focus on the causes of this success they seem to be clear, Niantic has taken advantage of the nostalgia that most Millennials feel in the internet age. This sector, in particular, is important as they are virtually digital natives who have seen the evolution from the first console to smartphones, and are the first followers of the app. 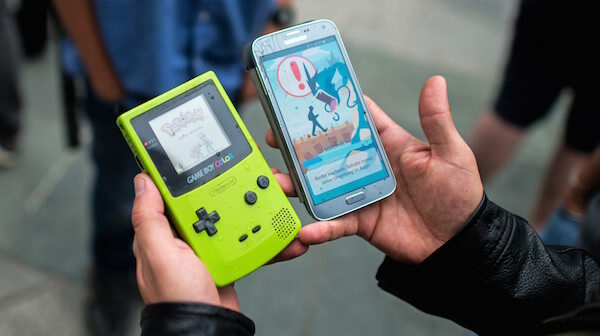 “The generation that grew up with the first Pokemon Gameboy are now in their thirties, and although many have stopped playing, they all have a mobile: nostalgic factor + Free game + no console = BOOM!”, this was the theory from Carbonbyte. How much does it cost to develop an app like Pokémon Go? As I have already mentioned in the first lines of this article, it is not easy, nor cheap, to make an augmented reality application. As we said above there are not too many professionals specialised in Augmented Reality, precisely because of the high cost in time and money it takes to develop an app of this type. In the case of Pokémon Go, they developed the technology themselves through Ingress, a long and expensive job. However, in our case, we can use technologies that have already been developed like Unity or Microsoft RA and work from there. For a good Augmented Reality job, we will need two to three months of development work, which would cost upwards of € 25,000. One of the major problems that Pokemon Go has faced in Europe, the reason it has been forced to delay its launch, has been the problem with backend; profiling, designs, interactions, geolocation etc. This is a fundamental part of developing this type of application and we must invest a minimum of € 25000 if we want it to take off without a hitch. However, the journey to develop an app like Pokémon Go doesn’t end there. Now you need to make it known, get users and monetize it. Yeeply always recommends that you save at least 50% of the budget to promote the app. App store optimization really isn’t much of a cost investment at approximately 500 € per operating system: Android, iOS, WindowsPhone-, but the marketing strategy will be long, continuous and well worth it. In this case, it may be excessive, but prepare a significant amount of money for your marketing and advertising campaigns. Luckily, the Pokémon franchise already had some of the work done in the 90’s, but your new app will start from scratch and you have to work flat out to get succeed. If we start to think in numbers, we soon realize that we will need at least € 120,000 to create our own Augmented Reality game or application. It may seem outrageous but compared to the millions who have invested in Pokémon Go it may not be so much. We’ve given data and numbers for a quality AR application, well-made and well developed. But not all apps are created like this in their first version, especially for such ambitious and large projects. On more than one occasion we have recommended to our clients to play it safe with an MVP (minimum viable product) initially. This way you can see the basic operation of the app, and see the response from the market. We can even ask app users, to find out whether or not they like our product, what we can improve, etc. and most importantly, it is much cheaper to develop an app. An MVP for a similar project to Pokémon Go can amount to around € 20,000 to develop and market, much less compared to the figures we have seen before. If you’re serious, that can be our first step, you just have to tell us about your project and find the perfect place to develop your team’s MVP.